A newly published study reveals that copper alloys rapidly destroy the highly infectious norovirus. 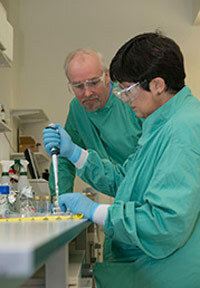 Scientists from the University of Southampton have discovered that copper and copper alloys rapidly destroy norovirus. Lead author Sarah Warnes, from the Center for Biological Sciences at the University of Southampton, says: “The use of antimicrobial surfaces containing copper in clinical and community environments, such as cruise ships and care facilities, could help to reduce the spread of this highly infectious and costly pathogen. 1 Comment on "Study Reveals Copper Alloys Destroy Highly Infectious Norovirus"
This is why I’m keen on investing as much as I can with copper hardware.